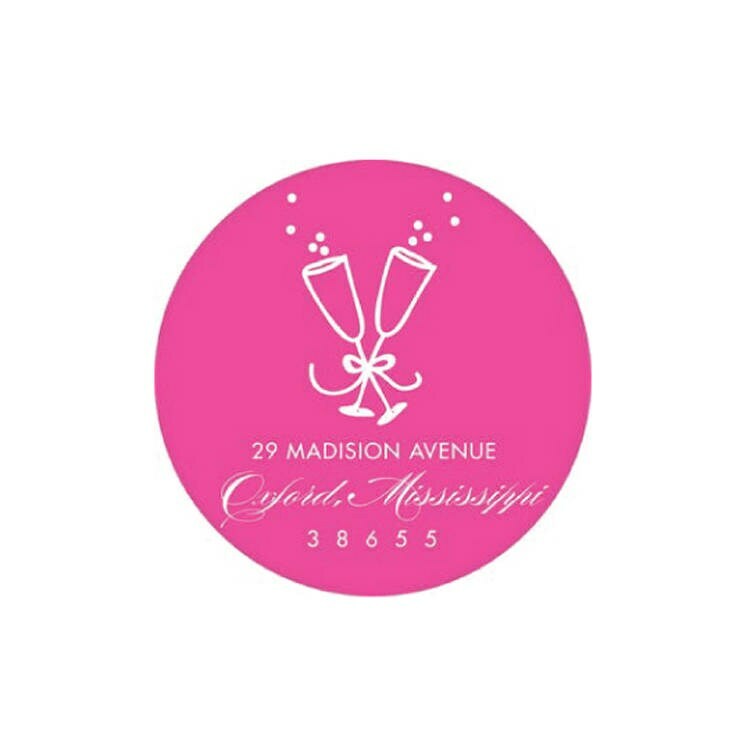 Champagne Stickers (hot pink) - Personalized! A Party for your Envelope! TO PERSONALIZE: Include in the Notes when checking out! * Layout will be exactly as shown. It can be different if you want to include your name at the top, but note that only 3 lines are available and the state might need to be abbreviated to fit everything. * Highest quality round stickers in a matte finish.